“Our God is full of surprises,” said Franciscan Sister Mary Ann Stoffregen as she recounted her vocational journey that eventually led her to the Prayer Lodge in Busby, Mont. A native Hoosier, Stoffregen was born and raised outside of Charlestown by her parents, Henry and Nora Stoffregen. They had five children, operated a tavern and were members of St. Michael Parish in Charlestown. “I went to public schools until seventh grade when our parish built a school,” she said. “That is when I first met the Sisters of St. Francis.” Until then, her religious education consisted of Bible stories told by her grandmother and catechism classes on Saturdays. She was just 17 years old at the time. Sister Mary Ann spent her freshman year at Marian College, now Marian University, in Indianapolis. Sister Mary Ann entered the Congregation of the Sisters of the Third Order of St. Francis in Oldenburg in 1958 and professed final vows in 1964. She taught for 20 years in Catholic schools, mostly high school English and journalism. 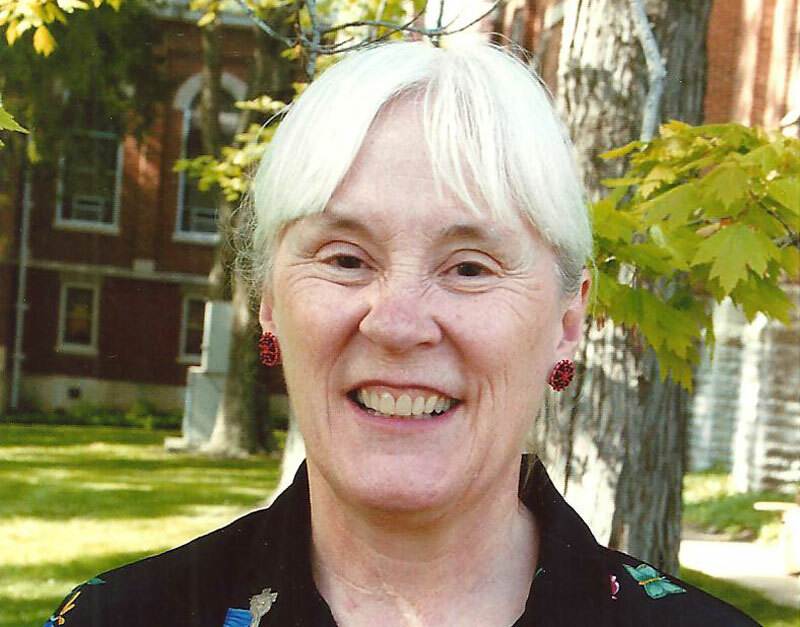 She was hired in 1986 to do pastoral ministry at Blessed Sacrament Parish in Lame Deer, Mont. Five years later, she filled the same role at Christ the King Parish in Busby, Mont. In the early 1990s, Sister Mary Ann began to plan what came to be known as the Prayer Lodge, a place of prayer and retreat for women of varying religious backgrounds, including those from Native American tribes and nations. From 1992 to 2000, she served as director of the Prayer Lodge while continuing to do part-time ministry at Christ the King. The goals of the Prayer Lodge include offering opportunities for learning, growth and support for women. Wilhelmina Schmidt, a member of the Northern Cheyenne nation, has fulfilled the dream to have a Native American woman as director of the Prayer Lodge. Stoffregen returned to Indiana in mid-2000 to serve as part of the congregation’s leadership team for six years. She later returned to the Prayer Lodge, and currently serves as the resident sister and spiritual guide.